Tradition meets modern with our exquisite range of wooden and metal bed frames. Inject some personality into your bedroom by choosing one of our hand-picked bed frames. Ranging from traditional oak to modern metal, our frames are available in all standard sizes, meaning that whatever your requirements, we will have the perfect frame for you. These include television bed frames, which are customisable in their upholstery, to help you achieve a little slice of movie star lifestyle in the privacy of your own bedroom. 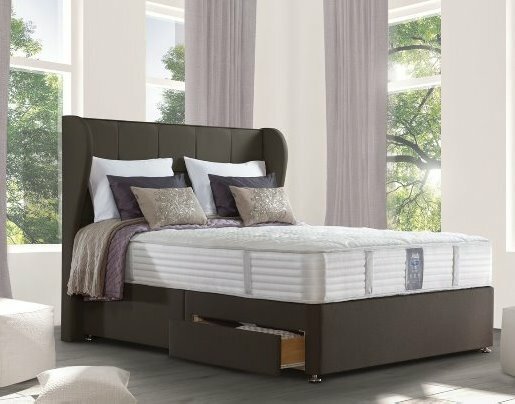 We also have a beautiful selection of bedroom furniture, which matches our bed frames, to help you achieve a cohesive bedroom look. Our upstairs bedroom showroom in Chesterfield is quiet and private, and we can leave you to browse at your own pace. When in search of a new bed, the choice can be overwhelming. Therefore, we offer our honest, impartial advice to help you find the bed frame that is right for you. What’s great about bed frames? The great thing about bed frames is that there really is the perfect frame out there for you. Whether your tastes are country cottage or New York loft, we can help you choose the bed frame that fits perfectly with your lifestyle and décor. 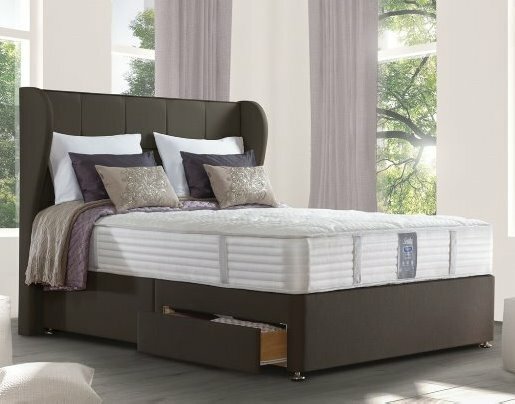 Bed frame beds are ideal for those who appreciate the simple lines and airiness that can be achieved with these styles, with multiple storage options possible with the use of under-bed drawers, baskets or other containers that match your personality and requirements. Bed frames tend to be lower in height than divans, making them a great choice for children and anyone with mobility concerns in particular. However, most choose bed frames because of their versatility and attractive, streamlined appearance in the bedroom. Whether you are aiming for feminine and chic, or minimalist and industrial, Floor Depot Chesterfield will have the perfect frame for your needs. Pop along to our showroom to explore our range and try them for yourself. We would be delighted to see you and discuss your requirements. To benefit from the Floor Depot experience, visit our display showroom in Chesterfield today.